I’m sure everyone is not yet come back from the cricket fever so am I. It was a awesome match and I was happy the boys in blue made it this time, proud of you guys. Chak de India!! 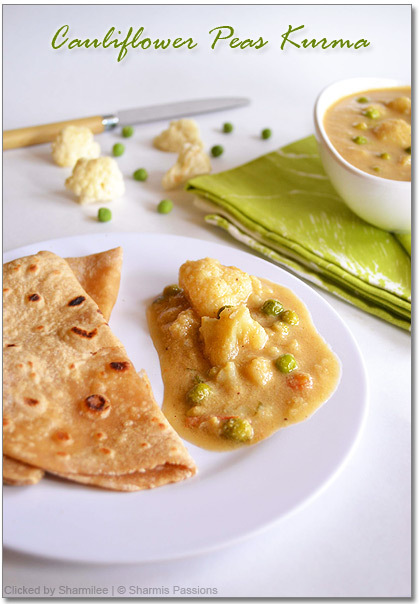 I have modified it according to our taste and now this has become my keeper recipe for cauliflower peas kurma. 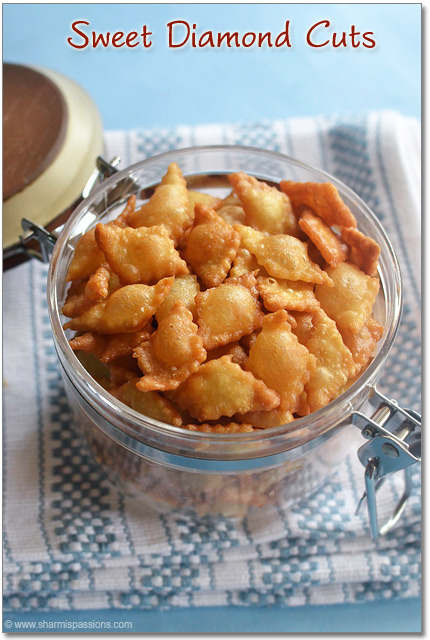 Here goes the recipe from my kitchen…. Grind all the ingredients under ‘to grind’ with little water to a smooth paste and keep aside. Chop cauliflower into small florets and pressure cook it along with peas with salt and turmeric powder only till half done. Heat oil in a pan, add onions fry till golden brown then add tomatoes fry until raw smell leaves.Add chilli,turmeric powder and mix well. Now add the ground paste and fry till raw smell leaves and oil seperates. Add 1/4 water(adjust according to thickeness) and allow it boil for 5mins. Now add cauliflower and peas , mix well. Add water if required and allow the kurma to boil 3-5 mins.Garnish with coriander leaves and switch off. 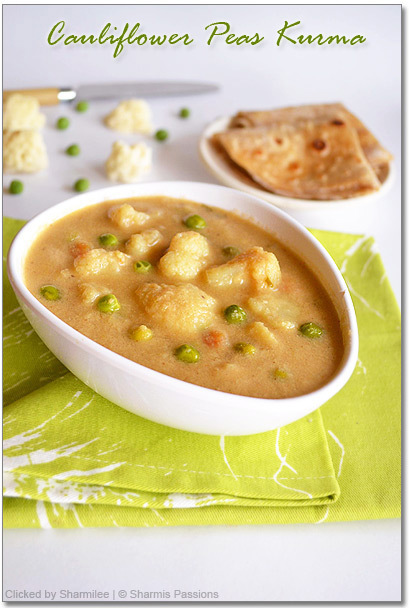 While cooking/pressure cooking cauliflower and peas, make sure its only half cooked else it will turn mushy while it gets boiled with the kurma. The qunatity of gravy is more in this method, so you can also use it as a sidedish for rice. 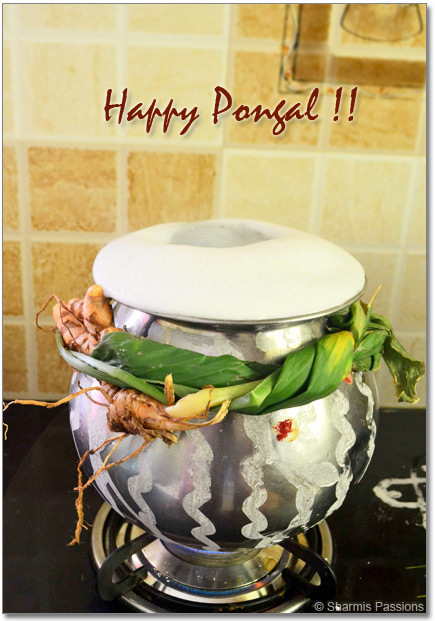 The same method can be used for making vegetable kurma also. You can make the consistency a bit watery if you are serving it for rice. I used fresh cauliflower and peas, you can alternatively use frozen ones too. This is such a mouthwatering cauliflower dish! Great clicks! I too love this combo very much,lovely clicks! 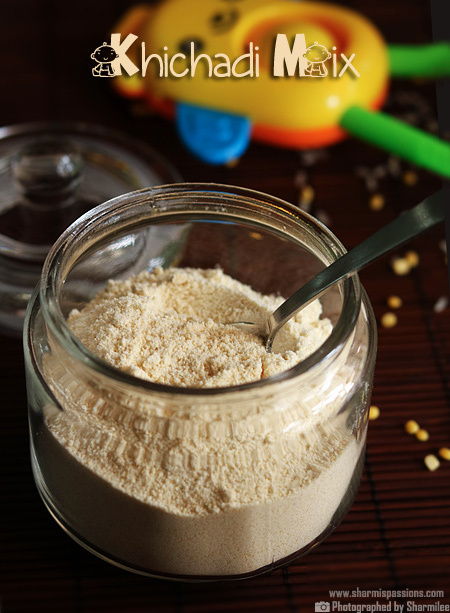 Simple yet flavorful gravy!!! I love badrinath`s recipes too…esp all her gravy recipes..Even her navaratna korma comes out fantastic.. 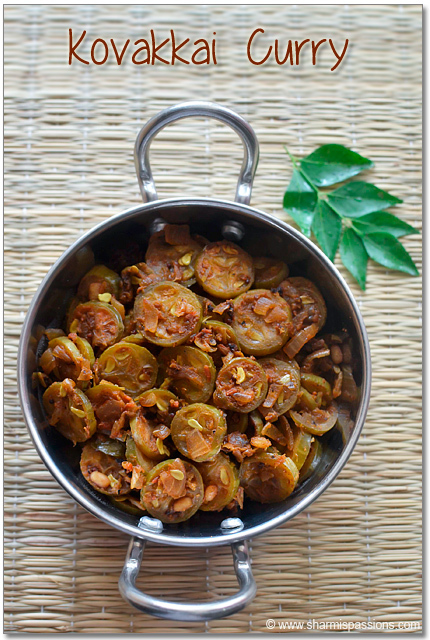 Simply delicious, wat a prefect pair with rotis na..yumm! I've tried this recipe too from her book and we like it. Nice shots. 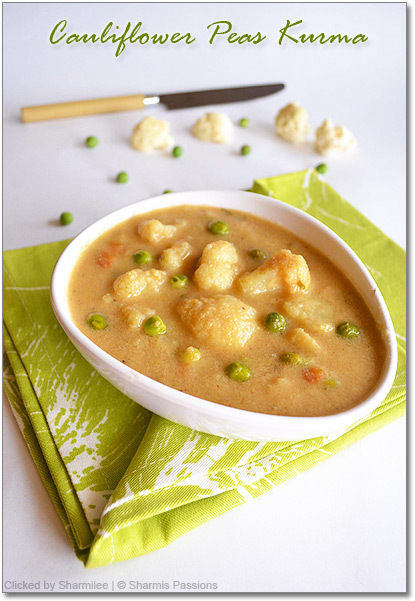 Lovely clicks and yummy combo..
Cauliflower peas kurma sounds awesome dleicious. A classic combo-my fav too! Yummy kuruma, i love combination gravy curries and this is a must try for me..
Its my favourite dish for pratas. Lovely and is perfect. Yummy! 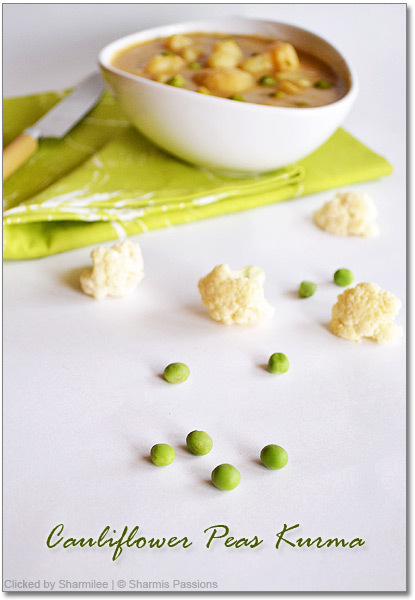 Nice combination of peas and cauliflower.Wounderful clicks. 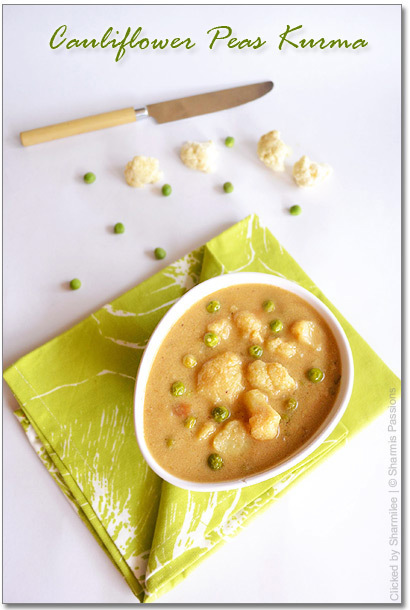 Love the combo of cauliflower and green peas..Awesome clicks as usual..
wow lovely clicks …….. yummy too ……..
Love this combo very very much sharmi.. shots are very beautiful..
All time favorite recipe. PIctures look too good !! Tried this recipe without Peas and it came out absolutely good. Hubby and I loved it until the last drop. Kudos to you! 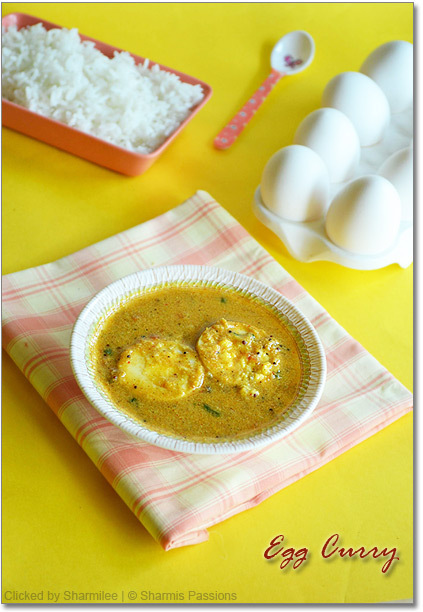 Hi Sharmee, Its wonderful receipe. I usually do my Amma's version only. But here after going to change to ur receipe. My hubby liked this version very much. U know kurma which i did was just like h u have shown in the receipe. It was very good and tasty.Thanks for posting these kind of receipes. 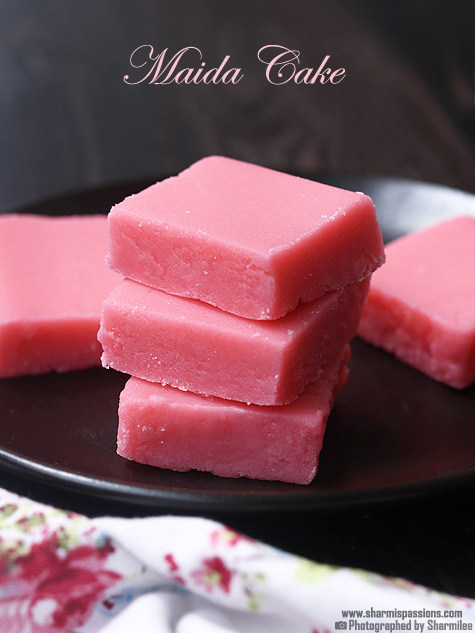 It is fresh grated coconut…. hi sharmi i tried your recipe im happy with the results. ive browsed many website, but this is like learning from a friend. lookin forward to learn more. hi i will try ur recipe… i have seen ur recipe just now only.